Glaucoma is a disease of the eye that damages the optic nerve. It can lead to vision loss and even blindness if left untreated. Sadly, approximately 10% of people who get the proper treatment will still experience loss of vision. 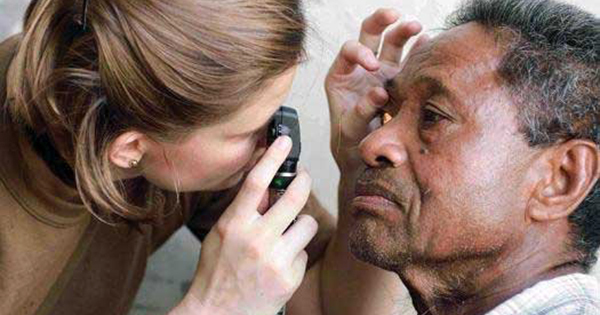 Anyone can get glaucoma, but African Americans are at higher risk. In fact, glaucoma is the leading cause of blindness among African Americans. According to the National Eye Institute, more than 520,000 African Americans have glaucoma. Not only that, glaucoma strikes earlier and progresses faster in African Americans. The reasons for the higher rate of glaucoma among African Americans are still unknown amongst scientists. However, research does confirm that African Americans are genetically more at risk for glaucoma. This makes early detection and treatment all the more important. The symptoms of glaucoma can go unnoticed for years. It is a disease that develops slowly and has no early warning signs. By the time they notice their vision changing -- loss of sharpness of vision, loss of side vision -- it is too late for glaucoma patients. At this point, it becomes irreversible. Yes, and the best way to prevent glaucoma is to get regular eye exams. This is especially important for African Americans over age 40. Comprehensive eye exams should be done every 1-2 years.